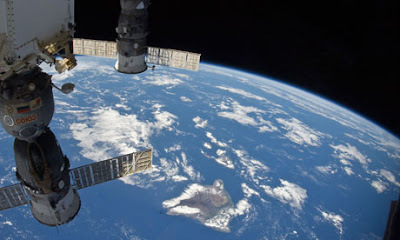 The International Space Station will sail over Honolulu just after sunset Monday. Star-Advertiser. When dignitaries presented Gov. John Burns in 1970 with their report on what Hawaii might look like in the future, the concept of the islands as the "Geneva of the Pacific" was already cliché, "a theme that appears again and again in the rhetoric of modern Hawaii." Star-Advertiser. The roughly 20,000 people visiting Hawaii for the Asia-Pacific Economic Cooperation forum this week bring with them some pain, in the form of restricted access to roads, parks, beaches, the ocean and airspace. But the event also will be a source of financial gain for many local residents and businesses. Star-Advertiser. As “APEC Week” opens today in Honolulu, here are several perspectives on what you might look for as the Asia Pacific Economic Cooperation convention unfolds. Civil Beat. Hawaii taxpayers foot the bill: Is APEC business our business? Hawaii Independent. The leaders of the 21 APEC economies will gather in Honolulu. Hawaii Public Radio. Honolulu beat other cities like Los Angeles and San Francisco to host the APEC leaders meeting. Hawaii News Now. People claiming to be fighting for the sovereignty of Hawaii locked themselves inside the Iolani Palace grounds on Sunday. Hawaii News Now. Former U.S. Rep. Ed Case played up his role as an outsider and said he wants to be "the candidate for change" in what's shaping up to be a competitive race to fill outgoing Hawaii Sen. Daniel Akaka's seat in Washington. Maui News. University of Hawaii Economic Research Organization: Hawaii's Economy in Pause Mode. Hawaii Reporter. Some 4,000 elevators in Hawaii are overdue for safety inspections and to clear the backlog, the state must double the number of inspectors now on staff, lawmakers heard last week. Hawaii Reporter. Before he was killed, Kollin K. Elderts was at a nightclub where he got into an altercation with the federal agent who later followed Elderts to a Waikiki McDonald's and allegedly shot him, the attorney for the victim's family said Sunday. Star-Advertiser. The family of a man shot to death in a Waikiki McDonald's early Saturday morning has hired an attorney. Civil Beat. A federal special agent was charged Sunday night with second degree murder for Saturday's deadly shooting in at McDonald's. KHON2. Eight Occupy Honolulu protesters were released from police custody Sunday after being arrested Saturday night while trying to establish an encampment at Thomas Square. Star-Advertiser. A steady stream of vehicles filed out of Ala Moana Beach Park Sunday evening.KITV4. After years of hosting landfills and power plants and not receiving a fair share of infrastructure expenditures, it's time for a drastic step in Leeward Oahu. Civil Beat. It looks like Waikiki’s International Market Place will be going upscale with a three-level open air retail center. Pacific Business News. The Nimitz Highway beautification project is complete and the busy corridor is ready for thousands of APEC visitors who are scheduled to arrive this week. KITV4. Waikiki tourists unaware of Hawaii hosting APEC this week. KHON2. Regardless of voters' preference, the County Council's makeup will change when a new term starts next December. Tribune-Herald. As Oahu prepares to host a meeting of business and government leaders from across the Asia-Pacific region, Hawaii Island hopes to snag some of the world spotlight for itself. Tribune-Herald. Designed to protect against flooding that has been threatening the Big Island, Hawaii County's dry wells and drainage culverts haven't been cleaned since June. Tribune-Herald. At the picturesque Ueshima Coffee Co. estate in Holualoa, numerous coffee trees had delicate ripening cherries, perfect for the annual UCC Hawaii Kona Coffee Picking Contest Sunday morning. West Hawaii Today. North Hawaii's hunters had a message for the state Department of Land and Natural Resources Saturday: Open up more land for hunting and stop fencing off areas for feral animal eradication. West Hawaii Today. West Hawaii residents on Saturday turned out in full force to let the state Department of Land and Natural Resources know where it has faltered over the years and how it can improve. West Hawaii Today. Maui County Council Member Don Couch is proposing legislation that would ban drinking in several popular South Maui parks. Maui News. The county could save more than half a million dollars a year if it eliminated, combined or refocused some of its 37 boards and commissions, according to the Cost of Government Commission. Maui News. By spring, Fido and Spot will have a county park of their own to romp in, a long-desired goal of Fido's and Spot's owners. Maui News. Members of the Reinstated Hawaiian Government re-elected Henry Noa to another term as prime minister Saturday. Garden Island. The county Department of Water initiated repairs on a water tank serving Wainiha and Ha‘ena Sunday, but officials said the pump is still not working at full capacity. Garden Island. Free medical care is coming to Kaua‘i from late February through early March, said Col. Jerry Arends, director of the Innovative Readiness Training Medical Deployments. Garden Island.